David is an entrepreneur and engineer with three decades of experience in the renewable energy industry, seeking to help prepare humanity for future energy constraints. His first company, NRG Systems, became a global leader in wind measurement technology. Since 2004, he has been President/CEO of AllEarth Renewables, a company he founded to develop and manufacture grid-tied renewable energy systems, which now delivers solar trackers to a network of more than 80 dealer-installer partners across the U.S. Within the past five years, David has built two utility-scale solar farms as well as a 10 MW wind farm supplying power to Burlington, VT.
David is a member of VBSR’s Public Policy Committee. In addition to running AllEarth and serving on VBSR’s board, David volunteers his time as a board member for the Post Carbon Institute, Renewable Energy Vermont, and the Vermont Manufacturing Extension Center; he also chairs the board of advisors for UVM’s Rubenstein School of Environment and Natural Resources, and is a member of the advisory board for the Union of Concerned Scientists. He lives in Charlotte in a home completely powered by renewable energy sources, with a community solar array in his backyard. Yola joined B Lab in 2011. Her work in the area of Community Development facilitates entry into the B Corp community for businesses that commit to high standards of transparency, accountability and performance, and brings momentum, through membership growth, to the global B Corp movement that redefines success in business and builds a more inclusive, resilient and sustainable economy. She also manages a private consulting initiative in the field of sustainability and corporate social responsibility. From 2007 to 2011, Yola held the position of Director of Sustainability at Burt’s Bees, developing, integrating and monitoring innovative strategies to achieve the brand’s sustainability/CSR goals. As Executive Director of the Burt’s Bees Greater Good Foundation, Yola worked to create meaningful partnerships with non-profit organizations with a mission to drive innovative, positive change through systemic and replicable models that seek to eliminate the root cause of social and environmental problems. Prior to joining Burt’s Bees, Yola was Director of Social Mission at Ben & Jerry’s in Burlington, VT where she managed pioneering environmental and socially conscious directions for the company’s domestic and international business. Rae Carter is a communicator, navigator, facilitator, and empowerment advocate committed to helping heal our Earth and the life she sustains. 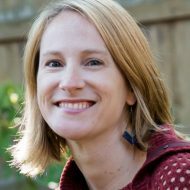 Rae’s 20-year career includes serving as the communications director at the Vermont Sustainable Jobs Fund (2013-2018), where she was instrumental in elevating the organization’s approach to sustainable economic development and facilitating marketing collaboration among businesses, nonprofits, and government agencies. She owned and operated a public relations, social media, and grassroots marketing business (2006-2013), working with Vermont clients in agriculture, tourism, food, finance, education, consumer service, government municipality, and nonprofit sectors. Rae was recognized as a 2010 Vermont Business Magazine Rising Star. Prior positions include public relations director at a Vermont marketing agency, marketing director at a financial institution, and a program manager with the Girl Scouts. She holds a Bachelor of Arts degree in public relations and organizational communication from Marist College. Rae is an herbalist, musician, public speaker, and cancer survivor. She lives with her husband and animals in Plainfield, Vermont where they are developing a healing sanctuary and manage Hygge Den—a downtempo music project. Jennifer Chiodo has over 30 years of experience creating and managing new approaches to garnering energy efficiency in the business sector while overseeing the implementation of thousands of energy efficiency, commissioning and measurement and verification projects. 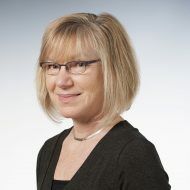 She has fostered the development of Cx Associates into a widely recognized leader in the areas of energy efficiency, commissioning, and evaluation, measurement and verification of energy efficiency projects and programs as well as a socially responsible business that puts people and the planet ahead of profits. Ms. Chiodo is actively engaged in addressing global warming through building energy efficiency and her volunteer work on her town energy committee and as Advocacy Chair on the Board of the Vermont Green Building Network. Ms. Chiodo was instrumental in the development of Efficiency Vermont, managing the Business Energy Services Division from start-up through the successful fulfillment of the first contract term. During Ms. Chiodo’s 10 year stint as a project manager and electrical engineer in San Francisco, she developed a keen awareness of the value of energy codes, training and enforcement as well as a deep knowledge of the commercial building sector. Mark moved to Vermont in 1974 at the age of 20. In 1978 he opened a natural food store with Steve Birge called Black River Market. 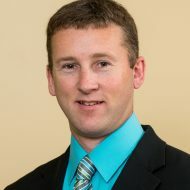 Jed Davis is Director of Sustainability for Cabot Creamery Co-operative, a long-time VBSR member. Born and raised on a six-generation family dairy and fruit farm, Jed came to Vermont and joined Cabot Creamery in 1991 and has held a variety of marketing, sales and operations positions. In 2008, Jed was named Cabot’s first Director of Sustainability and his efforts now center on helping Cabot achieve its own understanding of “Sustainability”: Living within our means and ensuring the means to live. Cabot Creamery is owned by the dairy farm families of the Agri-Mark cooperative, and is proud to be a certified B Corporation and a recipient of the U.S. Dairy Sustainability Award. 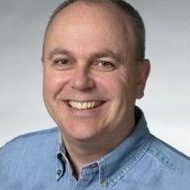 David is the managing principal at TruexCullins (TXC) and a long-time VBSR member. TXC has four areas of focus: Workplace, Home, Resort, Education and Interiors. David co-leads the Education and Workplace Studios. David’s passion is creating engaging 21st Century learning environments. He has designed created master plans and school facilities in over 35 countries. To learn more about David or to read his education blog Digital Crayon, visit David Epstein’s BIO. Since being admitted as Partner in Davis & Hodgdon Associates CPAs in January 2005, Bret Hodgdon has had a key role in the firm’s growth into one of the area’s most innovative public accounting firms. His daily embrace of new technologies has resulted in efficiency improvements not only for the firm but also for many of the firm’s corporate clients. 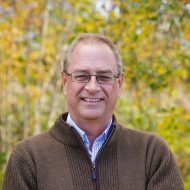 Bret is one of Vermont’s only accountants with the designations of Certified Public Accountant (CPA), Certified Financial Planner (CFP) and Certified Fraud Examiner (CFE), with expertise in fraud prevention, corporate investigations and forensic accounting. Originally from Hardwick, VT, Bret is a graduate of Lyndon State College with a Bachelor of Science Degree in Accounting and Business Administration. Since 1998 he has worked with a variety of clients providing audit, tax and consulting services in a number of specialized areas such as non-profit organizations, the construction industry and wholesale/retail. Claudia Marshall is a life-long communications professional, with experience in traditional and social media. She combines that experience with a long-time interest in community outreach and social justice. Claudia is the Director of Communications & Development at Salvation Farms,a nd she previously served as the Director of Good Works and Public Relations at Gardener’s Supply Company in Burlington, VT. Her work there included distributing 8% of the company’s profits to causes that make the world a better place through gardening and sustainable agriculture. Before moving to Vermont in 2013, Claudia was an award-winning writer, reporter and news anchor in New York City for CBS News and ABC News – on both radio and television. 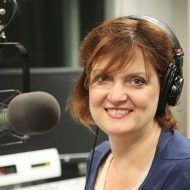 And she spent a dozen years hosting the public radio station, WFUV, featured frequently on NPR. Claudia has tutored in a literacy program for underserved children in Oregon and worked in a crisis hotline in New York. She rode a bike from New York to Boston to raise money and awareness for AIDS research. In Vermont she has volunteered at a multi-denominational program to provide emergency services to Burlington-area poor and immigrant families. She serves as a deacon at her church in Charlotte. CEO & Co-Founder, Mamava, Inc.
Mission driven, women-owned, and a Certified B-Corp, Mamava created a category and is the leading expert in lactation spaces. Mamava’s smartlock enabled lactation suites and mobile app are designed with consideration of the biological, physical, and emotional needs of nursing mamas (and babies) on the go. 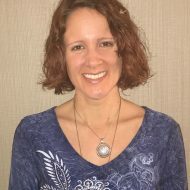 Beyond her work life, Sascha was a founding board member of Mobius Mentors, and she sits on the marketing committee for the Vermont Symphony Orchestra and loves to spend time outside with her husband, two children, nine chickens, and her rescue dog Cletus. 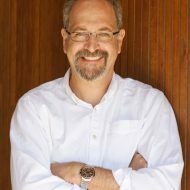 Jacob Park is Professor of Strategy, Innovation, Entrepreneurship and Director, Sustainable MBA Program at Green Mountain College. He serves on Renewable Energy and Adaptation to Climate Technologies Investment Committee of the Nairobi, Kenya-based Africa Enterprise Challenge Fund and as one of the lead authors of the United Nations Environment Program Global Environment Outlook Report. He lives in West Pawlet. Duane has a varied background. A social entrepreneur, he’s on his 7th career with stints as a medic, police officer, non-profit manager, political campaigner, justice department official, legislative director and values-led business practitioner. The common thread: organizing people to take meaningful action towards positive change. He moved to Vermont in 1996 to help Ben use Ben & Jerry’s as a force for social change. After 12 years there as Ben’s Chief of Stuff, Duane left to launch his latest venture — SunCommon — to make it easy and affordable for homeowners to help repower Vermont with clean, safe, in-state energy. A Benefit Corporation and a Certified BCorp, SunCommon is Vermont’s largest provider of residential, community and commercial solar business with over 100 employees. Duane has been a part of the VBSR community since 1996 and his wife Laura served as VBSR’s Program Manager back in the day. 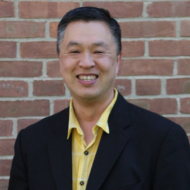 He’s a member of the Social Venture Network and serves on the Board of Trustees at VPIRG. He was recognized by VBSR in 2015 with the Terry Ehrich Award for Lifetime Achievement in values-led business. Markey has worked for the past 20 years providing leadership development, team building, and professional employee development services to employers and individuals throughout Vermont with the company she founded, Career Networks. 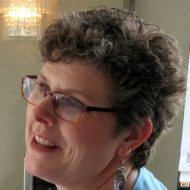 She has been a member of VBSR for 12 years, and has attended and spoken at VBSR Conferences. Markey is a current member of the VBSR Program Committee and is the DEVO Committee Chair. Throughout her involvement at VBSR, she has participated on various other committees. 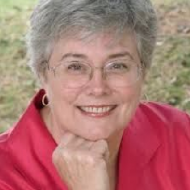 She has served on the board for the VT Association for Psychological Type and the VT Consultants network. Markey was also the chapter coordinator for WBON in Williston, and is currently a member of the American Society of Training and Development. 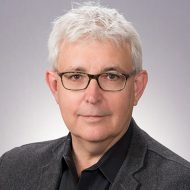 Frank Sadowski joined Gallagher, Flynn and Company (GFC) in 1997 to establish the Human Resources Consulting Division, now Gallagher Flynn Human Resource Services, LLC, one of the largest human resources consulting and executive recruiting practices in Vermont. 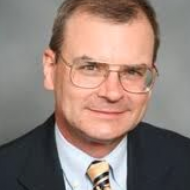 Prior to GFC, Frank was the Principal of Sadowski Consulting Services in South Burlington for seven years. Before that, he was Human Resource Manager for Boise Cascade’s paper mill in Sheldon Springs; Assistant to the President of the University of Vermont; and Chief of Economic Development Planning in the Vermont State Government. Frank received his undergraduate degree in psychology from Cornell University, attended Harvard Divinity School as a Rockefeller Fellow, and earned a Master’s in Public Policy from the University of Michigan. He has received Senior Professional Human Resources (SPHR) certification. Outside the firm, Frank helped create Burlington’s Ronald McDonald House and the Lake Champlain Waldorf School. He has served as a trustee of the Pine Ridge School and president of the Vermont Chapter of the American Society for Training and Development. He recently graduated from Episcopal Divinity School with a Masters of Divinity degree, focusing on business ethics and issues related to faith and spirituality in the workplace. Carrie is the principal and creative brand strategist at New Ground Creative. NGC gives mission-driven organizations and businesses their competitive edge through brand awareness and authentic messaging. Your brand is your identity, and helping you develop, unify and increase awareness of it is what NGC does, beautifully. Carrie’s approach is to strike a balance between creating a savvy and professional feel while maintaining a sense of welcoming and “human-ness” that is authentic to her clients. Carrie recognizes the importance of providing meaningful work and great compensation to her employees—not only because it’s good for her business in that it reduces turnover and improves employee morale, but because it’s also good for our economy. For Carrie it’s about how they foster the most innovative and creative ideas while supporting a great lifestyle. With over 10 years of experimentation, success, failure, and so much guidance, Carrie’s work is grounded in design. Outside of the office, Carrie finds inspiration in travel, singing, reading, and time spent outdoors. 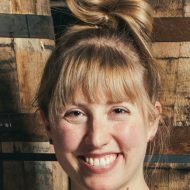 Sas Stewart is the Co-Founder and Director of Strategy of Stonecutter Spirits, an award-winning craft spirits producer that proudly combines heritage barrel aging techniques to age gin and whiskey in Middlebury, Vermont. After a decade in the world of fine dining, she cut her business teeth in urban agriculture and food systems before moving to the bucolic Vermont countryside. Passionate about design, good food, and bringing back the cocktail hour, Sas creates spirits and cocktails to be enjoyed by people who care about the quality of their tipples and sustainability of their origin. Sas’ cocktails and projects have been written up in Martha Stewart Living, Food and Wine, Outside Magazine, Sift, Bloomberg, Seven Days and other publications. In her free time she is currently writing a book that brings seasonal drinks to the home cocktail bar. Owner, Vermont Awards and Engraving, Inc. Prior to this Margi was a founding member of Genesee County (MI) Habitat for Humanity then its board president. She also worked in Economic Development in Flint MI. Before relocating to Flint, Margi was President of Blue Cross K.C. Credit Union (Kansas City, MO) and before that a Trust Operations Manager at Huntington Bank of Columbus, OH. In all those years Margi served on various boards and did many direct service outreach programs. VBSR is the icing on the cake, offering so many ways to serve that it is very hard to choose which ones! Mickey Wiles is the CEO and Founder of Working Fields, a mission-based staffing agency focused on second chance hires, predominately people in recovery from substance use addictions. Mickey leads a staff of Account Managers and Recovery Coaches that provides a supportive model of employment and recovery. This innovative employment solution meets the needs of both those in early recovery as well as Vermont Employers seeking dedicated and reliable employees.